Improvements to the air tightness of modern housing has resulted in energy savings but has also led to poor indoor air quality. David Treharne, Senior Engineer at Domus Ventilation, argues that the installation of mechanical ventilation can provide a cost-effective solution. Over recent years we’ve done a good job of improving the energy efficiency of new build homes, with a focus on sealing the building envelope to prevent wasteful heat leakage. And it’s worked remarkably well; so much so that we’ve created air-tight homes that, in some circumstances, over heat and trap the stale, humid air indoors along with the pollutants. What we’ve failed to do is match the improvement in energy efficiency with the provision of ventilation. As well as making for an uncomfortable home environment, poor ventilation can directly affect the health of residents. Poor indoor air quality (IAQ) has known links to allergies, asthma, lung cancer, chronic obstructive pulmonary disease, cardio-vascular disease and even dementia. Research conducted by the University of Exeter Medical School amongst social housing in Cornwall found that for every increase in SAP (Standard Assessment Procedure) ratings – which is used to measure the energy efficiency of dwellings – there was a 2% increased risk of asthma. The UK already has one of the highest occurrences of asthma in the world, and we are unwittingly making this worse. ‘Why not just open a window or two if you need ventilation?’ is a common refrain, but in cooler or damp weather that’s not ideal, nor is it enough in warmer summer months. That’s where continuous mechanical ventilation systems step in. Building Regulations Approved Document F details the different types of ventilation suited to a domestic property starting from a System 1, which is Intermittent Ex-tract Ventilation, but for whole house continuous mechanical ventilation sys-tems you are looking at a choice between a System 3, Continuous Mechanical Extract Ventilation (MEV), or a System 4 Continuous Mechanical Ventilation with Heat Recovery (MVHR). An MEV system actively extracts air from ‘wet rooms’ (kitchens, bathrooms, utility spaces) via ducting to a central ventilation unit which further ducts to an exhaust point. The systems are typically dual speed, providing low speed continuous trickle ventilation and high-speed boost flow, where replacement fresh air is drawn into the property via background ventilators located in the habitable rooms and through air leakage. A sub-set of System 3 is Decentralised Mechanical Extract Ventilation (dMEV). These systems represent an extremely cost effective and easy-to-install ventilation solution. They offer con-tinuous low levels of ventilation to a single wet room, coupled with virtually silent operation. 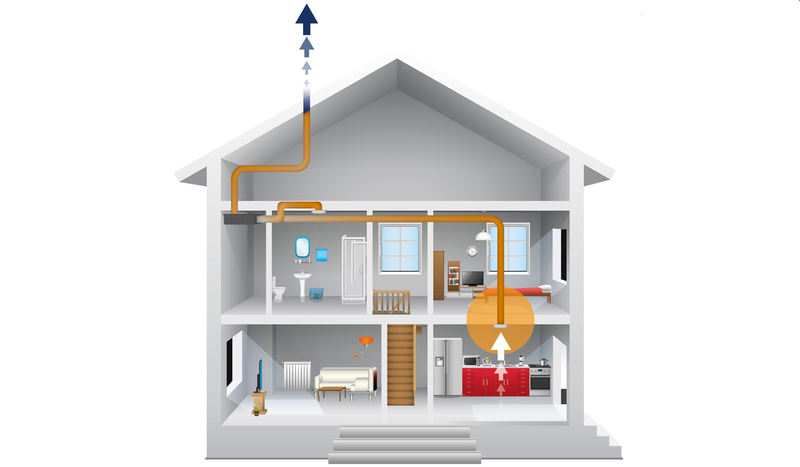 Unlike MEV, MVHR systems combine supply and extract ventilation in one system. They work on the principle of extracting and re-using waste heat from wet rooms. MVHR systems efficiently pre-warm the fresh air drawn into the building with stale waste air using a heat exchanger. The filtered, pre-warmed air is then distributed around the home, effectively meeting part of the heating load in energy efficient dwellings. There’s no doubt that MVHR systems provide effective ventilation, are energy efficient, extremely effective at reducing the risk of condensation and cold air draughts and, with their built-in air filters, are particularly useful in more polluted areas. But MVHR systems also come with a higher price tag than their counterparts and are considerably more complex to install and commission. MEV systems, which are more affordable and straightforward, are often a more practical solution. 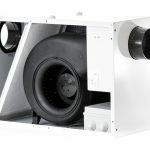 MEV still provides excellent ventilation, but the capital costs are lower, they are easier and therefore more economical to install, and operating costs are low. On the installation side, MEV systems require less ducting because air is being drawn one way only: out. With an MVHR system there is a further set of ducting to take the air from the unit into rooms. This also has a direct impact on the level of commissioning required. Commissioning involves marrying the unit’s per-formance to the actual air flow passing through the valves situated throughout the property. As MEV systems have extract valves only, this is a relatively straightforward process, unlike MVHR systems which must balance the extract and supply rates. The MEV units themselves are smaller and lighter than those of MVHR and can therefore be easily wall mounted rather than in a loft. In fact, our CMX-S MEV unit is just 125mm deep, making it the only unit on the market shallow enough to fit in a ceiling void. MEV systems are also very easy to use – more of a fit-and-forget scenario than MVHR systems which require maintenance, including regular filter changes. In the case of our own CMX-S MEV system, the optional speed and user controls enable simple operation and control for the homeowner, making them less likely to experience difficulties. 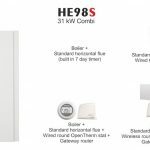 Models are also available with an integral humidistat which identifies changes in humidity and automatically adjusts the air flow of the unit accordingly. With access to properties often an issue in social housing, MEV systems can be a more appealing option here. Both MEV and MVHR systems are most suitable for new properties rather than retrofit, but MVHR systems really do require a more airtight property where virtually all of the air flow can pass through the heat exchanger, if they are to perform efficiently. Interestingly, with inner cities having higher pollution levels, MVHR systems are seen as more suitable because of the filter element, but in apartment blocks it is often the case that only the first four floors are fitted with MVHR and the remaining with MEV, as polluted air is heavier and therefore stays closer to the ground. The issue of IAQ is finally making it onto the political agenda. An All-Party Parlia-mentary Group for Healthy Homes and Buildings has been set up to investigate IAQ more fully, and trade association BEAMA has submitted recommendations to address this, which includes rewriting Building Regulations so that focus is given to achieving performance in practice, not just theory.